Orion Pictures just released the first official trailer for Child’s Play, the 2019 remake of the popular 1998 horror film. The new trailer begins with a visit to the company responsible for creating the Buddi dolls, Kaslan Corporation. With the theme song to The Courtship of Eddie’s Father playing in the background, the Buddi doll arrives at Andy’s home. As he unwraps it, it activates and scans its new owner. The expected chaos and death follow as Andy’s doll, Chucky, takes on a life of his own. The video links to a one-minute announcement from Kaslan Corporation founder, Henry Kaslan. He explains his company has built the greatest and most interactive toy using revoluntionary technology. It’s a special doll who will be a companion to children, a toy that will never let you down. “He’s more than a toy; he’s your best friend,” says Henry. 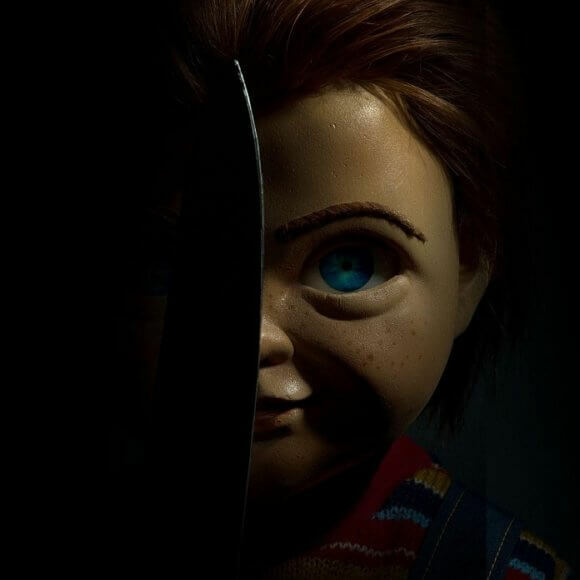 The cast of the 2019 Child’s Play includes Aubrey Plaza (Legion, Parks and Recreation), Gabriel Bateman (The Dangerous Book for Boys, Lights Out), and Brian Tyree Henry (If Beale Street Could Talk, Widows). Lars Klevberg (Polaroid) directed from a script by Tyler Burton Smith, based on characters created by Don Mancini. Seth Graham-Smith and David Katzenberg of KatzSmith Productions (It, It: Chapter Two) produced the new Child’s Play. The behind the scenes team includes cinematographer Brendan Uegama, editor Tom Elkins, production designer Dan Hermansen, costume designer Jori Woodman, and set decorator Rachel Robinson. Child’s Play will open in theaters on June 21, 2019.